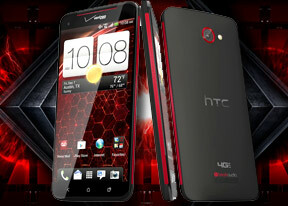 No expandable memory slot and no removable battery, has HTC designers gone nuts! HTC needs to understand they will not win this war without a removable battery phone. People cannot go around relying on external battery packs because some of the cheaply made ones do not carry any charge. Such a beautiful phone going to waste. This is the best smartphone made ever! This is for sure! If i have bought the unlocked phone from amazon US . Will i still have the verizon name on phone ? AnonD-62967, 27 Nov 2012Yeah I'm aware that HTC have released HD and 1080p FullHD screens quickly to the market but wh... moreI get your point, you said that HTC threw to the market HD screens very quickly, and was the first, isn´t that innovation?? showing something first?? This is a great phone, the thing about the microSD card is from Verizon, they requested to reduce the memory, as you can see the international version, that isn´t bound to any carrier have microSD, a lot of comments here says that 16/32 GB memory is a waste, but for the general public is more than enough even 8GB is cool for a lot of people, it´s true that HTC have a record of bad batterys, I can´t deny that, but with ONE X+ y DROID DNA, HTC have managed to squeeze the OS and maximize the battery productivity, honestly if I had a Note II, I wouldn´t change it for this phone because of the memory, but for the international version, I wouldn´t think it twice to exchange it. Please confirm again if the camera on this model is the same as the one on HTC one X. That matters because HTC one x's photo does not have good quality. I used HTC one X and I know it. (I dont need anyone to argue with me here, I just wanna get the answer from gsmarena.) Thanks. AnonD-62967, 26 Nov 2012Let me make this clear; I've been around long enough to knows the doo and daa of phones. I'm c... moreAnyone in thw world buy any phone or smartphone to call and text mainly. Did you know how many company provide state of the art dialing app out of the box? Only HTC. Just compare how many buttons you push to finish task. Did you know how many company makes phone who can send group sma or mail out of the box. Only HTC. AnonD-71909, 26 Nov 2012I see you asked for implementations from HTC, did you know that HTC implemented and populzariz... moreForgot to say that I actually like the DROID DNA but see no reason why I should replace my Note2 for it! AnonD-71909, 26 Nov 2012I see you asked for implementations from HTC, did you know that HTC implemented and populzariz... moreYeah I'm aware that HTC have released HD and 1080p FullHD screens quickly to the market but what's so innovative or great about that? Competitors like Sammy will release FullHD screens in 2013 Q2 so HTC had a 2 months advantage of a FullHD screen and their S4 Snapdragon and nothing else? Advantages that competition will not only catch up but overtake HTC simply because unlike Htc they (Sammy) aren't rushing their devices..they're taking their time and releasing more then hardware/specs..
Don't get me wrong I'm not a 'HTC hater' by no means, I think they're a great manufacturer but feel they're not doing themselves any favours with very bland products! it would be better if they've put 4,7" 720p display(like one x) so the battery last more!what's the point of having a Full HD display in 5"?makes no big difference from 720p!and make things worse for gpu(higher resolution) and battery! but must admit that's the best phone for now! I wish Htc should have patent the touchscreen itself in 2003..